software to achieve compliance. Pronto customers can read more about the software and sign-up for a persoalised demo below. 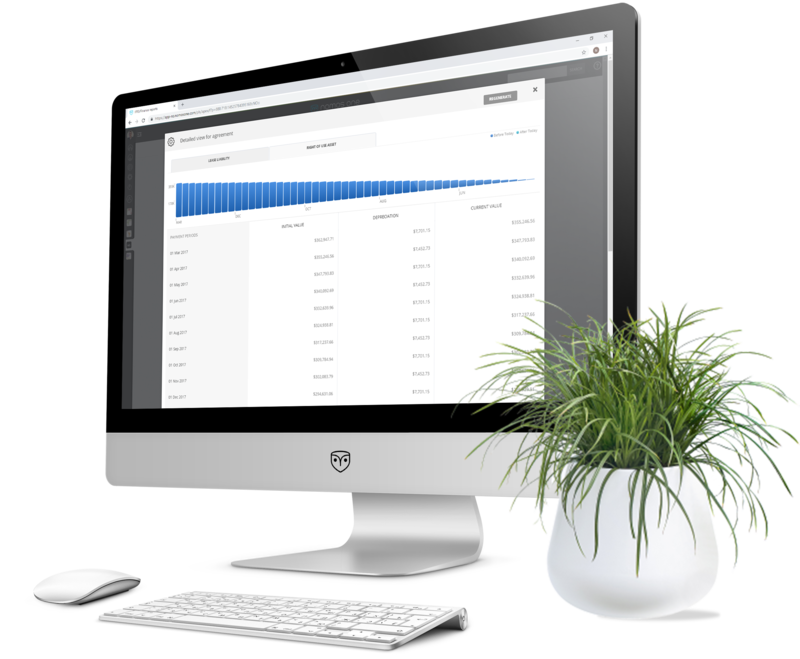 Nomos One is an all-in-one software for your businesses lease accounting, lease management and contract management needs. Our software consolidates your lease portfolio ensuring one global source of truth. Previously siloed data can be accessed efficiently by teams and departments for their own requirements, eliminating the need to jump between multiple softwares. We help clients of all sizes to streamline their onboarding process so you can hit the ground running with Nomos One. We’ve worked with chartered accountants who live and breathe IFRS 16 to design a world-class IFRS 16 compliant module that’s been tested against over 100 scenarios provided by global accounting firms. It’s intuitive, customisable and generates everything you need for reporting. Auditors around the globe introduce Nomos One to their clients and we can see why – when it comes to IFRS 16 we have you completely covered. Draft balance sheets, depreciation and interest schedules, and more. The IFRS 16 module supports all three transition approaches and automatically calculates right-of-use assets and lease liability across your portfolio. Event tracking, automated reminders, custom fields and reports, a personalised dashboard and compliance wizard will transform the way you manage your portfolio. Unlimited storage and custom fields and reports make Nomos One the perfect place to store all of your lease agreements and general contracts.